African cultural rituals are an untapped resource that could give the continent’s economic development a major boost. Some nations such as Kenya, Morocco, South Africa, Egypt, Tunisia and Zimbabwe have embraced tourism but it remains a struggle for others. 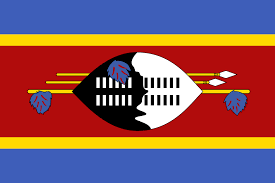 eSwatini – formerly Swaziland – is the last standing absolute monarchy in Africa, with a rich legacy of tradition and it is keen to promote tourism, but some attitudes stand in the way. According to data collected by the World Bank, a total of 947,000 international tourists visited eSwatini in 2016.
eSwatini is the smallest country in the southern hemisphere, but it makes a big splash every year with cultural festivals that attract guests from around the world. The government has long realised that meaningful investment in the arts and culture such as traditional music, dance, clothing and drama could earn the country billions of dollars and create many more jobs. But not everyone wants outsiders observing centuries-old sacred rituals, despite the multiple benefits that could be gained. Icwala, which means “First Fruits Festival”, is eSwatini’s most important cultural event of the year. There are a series of events that occur over a period of three weeks between December and January, but the exact dates are never publicised. And following Icwala, warriors begin to weed the King’s fields – a culturally significant spectacle of music, elaborate costume and dance. Guests and spectators are always welcome, but no concessions are made to tourism, and their marketing is minimal. eSwatini’s Minister for Tourism Moses Vilakati said the government couldn’t determine the dates of the festival ahead of time, because of the high changeability of the dates. “It’s generally around the full moon, so those are usually the days, but otherwise it’s sacred for us,” he said. He is adamant that the rituals must stay the same as they have been performed for centuries, away from prying eyes, so as not to upset eSwatini’s forefathers. However, Mr Vilakati would also like to see visitor numbers double. Currently, the tourist season starts in September and continues until early January. There is another festival in September called the Umhlanga, or “Reed Dance”, which draws in visitors, but Mr Vilakati wants tourists to turn their attention elsewhere. He hopes that tourists will be drawn to visit the country more for other reasons, such as to go on safaris to see the Big Five toughest animals to hunt on foot in Africa – namely lions, leopards, rhinos, elephants and buffaloes. Sipho Fakudze, a branding expert who runs his own advertising firm in eSwatini’s capital city Mbabane, completely disagrees with this point of view. He thinks cultural festivals like Icwala and Umhlanga should be used to boost the country’s economy. He also feels the government should support and empower youths in rural areas in order to boost eSwatini’s cultural profile on the international stage. On top of this, Fakudze thinks eSwatini could do with a national re-brand.